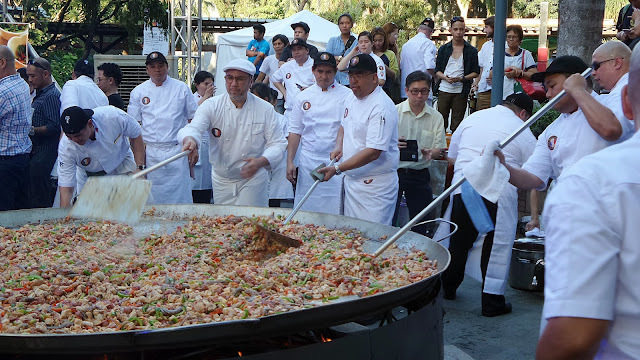 If paella-lovers were to celebrate paella day, Sociedada Espanola de Beneficencia’s “Paella de Gigante Festival” would be THE day. 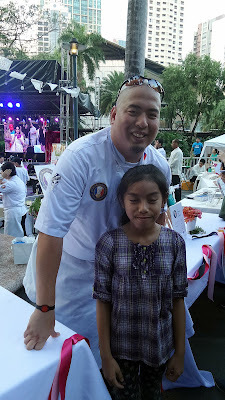 Held last March 12 at Greenbelt 3 Park, my friends from DOT made it possible for me to check out the event and mingle with my favorite chefs. 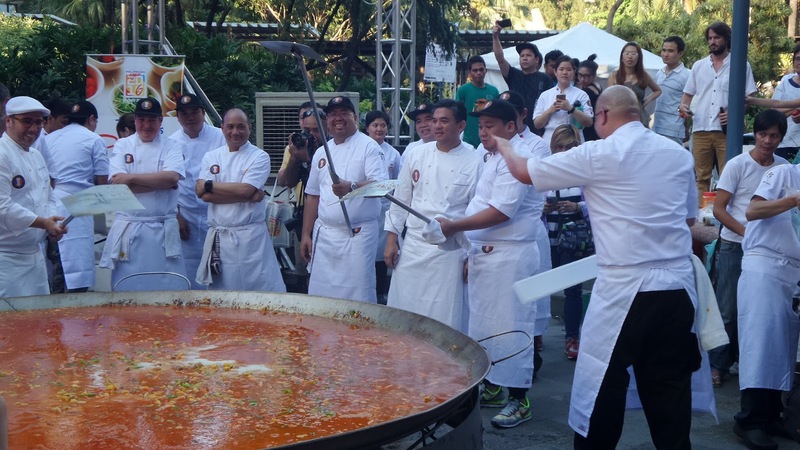 On its fourth year running, the Paella Gigante festival is organized yearly by SEB in partnership with LTB Philippines Chefs Association and Ayala Malls. A 10-foot diameter paella is cooked over firewood and coal, holding gigantum of ingredients. 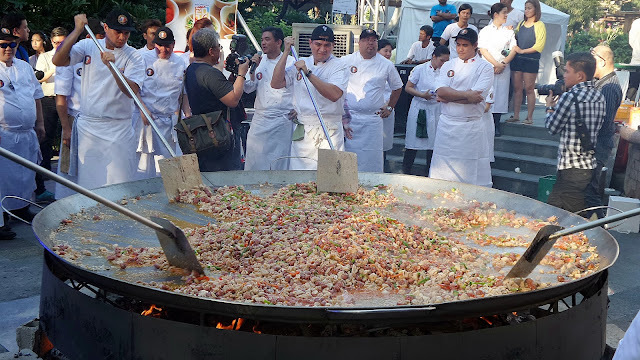 With 100 kilos of rice, plus a total of 265 kilos mixed savory goodness such as chicken, chorizo, seafood and vegetables on 200 liters of broth, I’m sure it can accommodate more than hundreds of people all willing to support the cause. 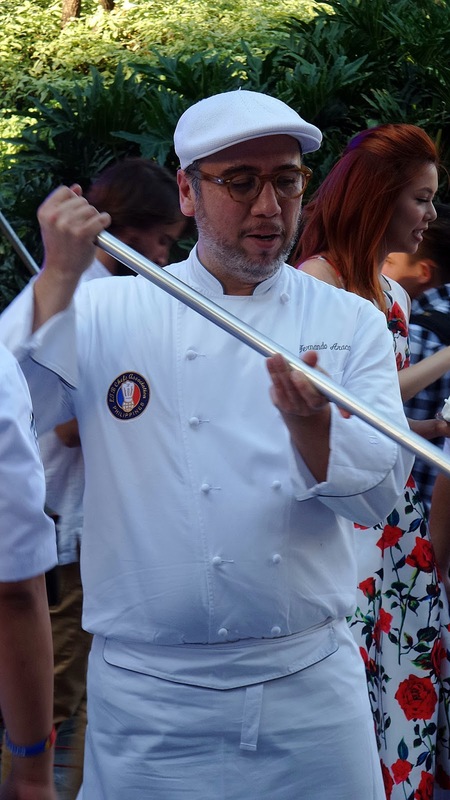 If that doesn’t get food lovers all het up, then maybe the presence of Manila’s top chefs who have braved the heat and have put their hearts to the event would. Spot your favourite chef, present were Chef Mikel Arriet (Team Captain). 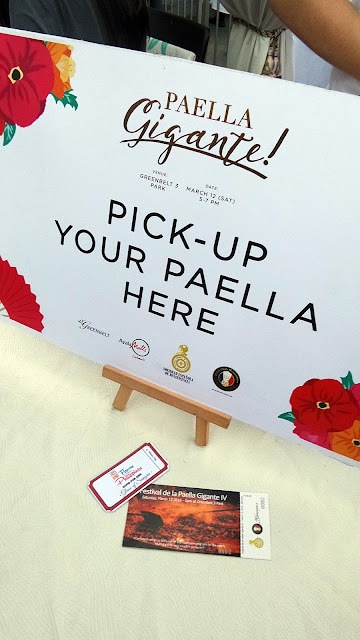 Fernandao Aracama, J Gamboa, Juan Carlo de Terry, Gilbert Pangilinan, James Antolin, Jerome Valencia, Sito Senn, To this you add some good music, flamenco and offerings of sangria. But let’s get the essence behind this grand feast. 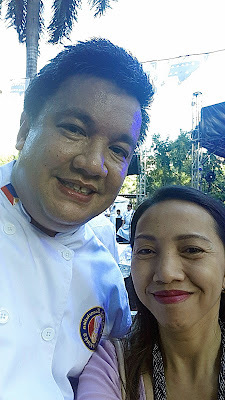 Sociedad Espanola de Beneficencia was created in 1948 initially to help Spanish citizens in the Philippines after the war. 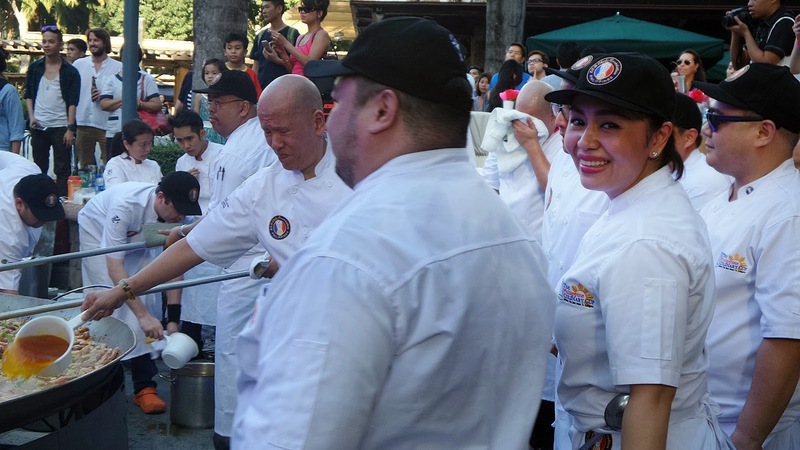 Over the years, and in response to the growing need, it has expanded its reach to include Filipino elderly, providing among others, shelter and healthcare solutions as well as outreach programs to communities. 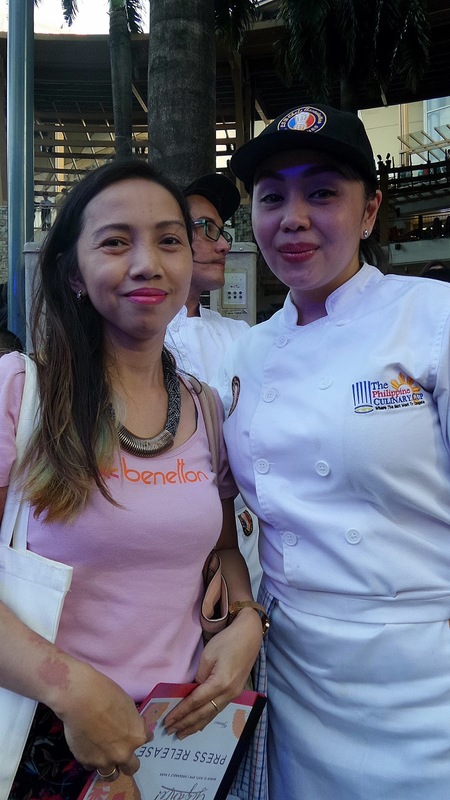 Todaytey continue to reach out to this vulnerable sector of society with the aim of lessening their burden, even for just a bit. The funds generated from the Paella Gigante Festival this year will go precisely to these endeavors for the elderly. The concept of giving is simple and precise: A little goes a long way.